My kids simply love matar-paneer (Peas with Indian cottage cheese in light tomato gravy). In fact, it seems like all south-asian kids love matar-paneer. 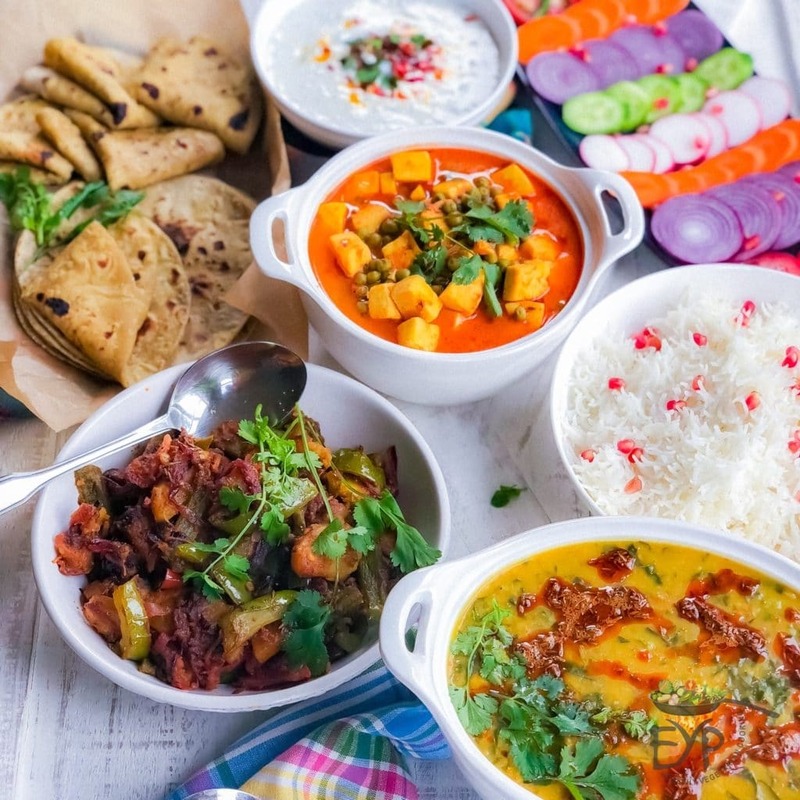 I don’t mind if they eat it for both lunch and dinner because both matar (peas) and paneer (Indian cottage cheese) are a great source of protein. Adding greek yogurt in the recipe, further increases the protein content. 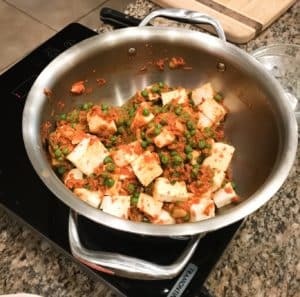 However, I make my day-to-day matar paneer in a slightly different way to keep it light on little tummies and keep the carbohydrate to protein ratio more balanced. In other words, I do not add nut paste and heavy cream to make it creamy with thick consistency. This simple day-to-day matar paneer recipe only takes a few ingredients and has very simple steps. Actual cooking takes 40 to 50 minutes due to simmering and cooking tomato puree. But, you can also take care of other errands while this is cooking on the stove. 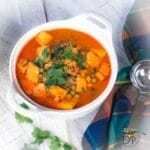 Simple and quick matar paneer recipe used as part of Family Meal Ideas – Quick Indian Dinner Recipes. Heat Dutch oven on medium heat and add ghee/oil in it. Add asafetida, cumin seeds, ginger and green chilis. Sauté for few seconds. Then add nuts and roast for a minute more. Now add tomato puree, give it a good stir, cover it up with a lid and let it cook on medium heat. 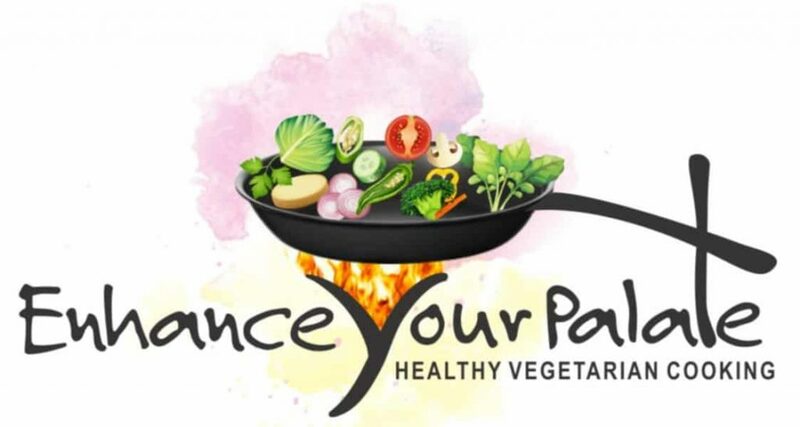 Sauté it for around 15-20 minutes or until tomato puree start leaving the pan or start separating the oil from it. Keep stirring in between to prevent the burning. Be careful of the tomato splutters though. Now add hung yogurt and mix well and cook for 5 more minutes. Add all the spices except garam masala, and give it a good stir to mix up all the spices well. Now add green peas and cubed paneer. Stir it and add 4 cups of water. Simmer for 20-25 minutes. 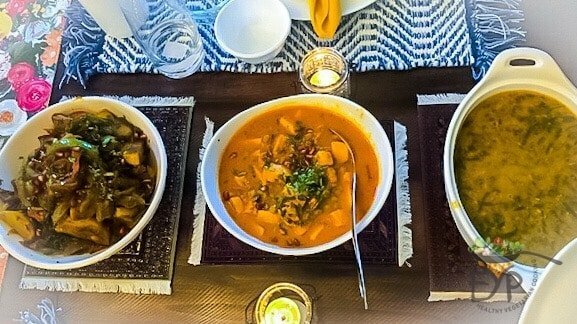 Simmering is what brings all the flavors out in the dish. If it starts to get too thick, add little more water and adjust the consistency as per your desire. Add garam masala, lemon juice and mix well. 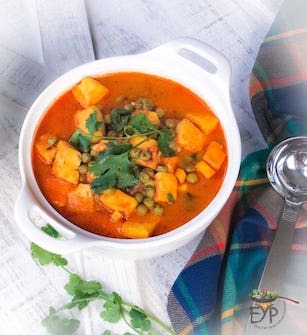 This matar paneer recipe has been modified for daily family use and is thus not loaded with cream, nut paste and other heavy ingredients that are usually added to rich authentic version of this recipe. Very nice which brand is ur steel Dutch oven used here? 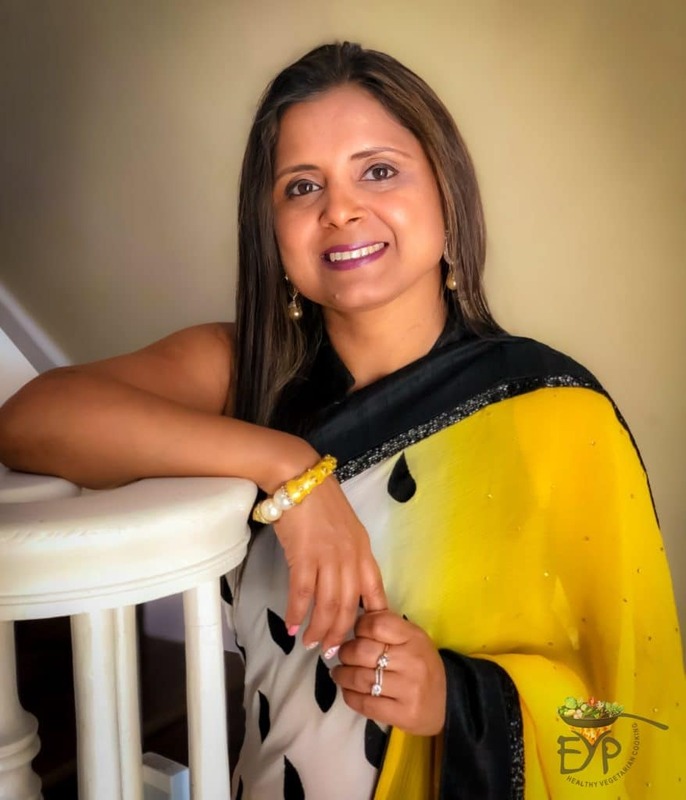 Hello Narang, Thank you for your comment and apologies for the late response. The Dutch oven you see in the pictures came with my purchase of Tramontina 3-piece Induction Cooking System from Costco.